"We're A Revv Above The Rest!" 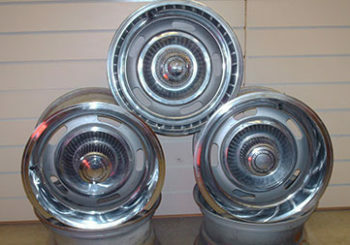 Specializing in Vintage Auto Parts! Redline Chevelle Parts is committed to providing you with the highest quality service in vintage auto parts for your vehicle restoration. 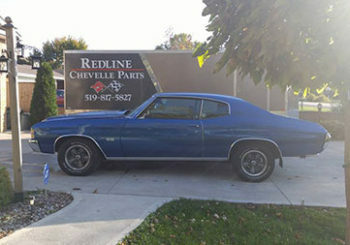 Servicing Windsor, Essex County, and all across Ontario, Redline Chevelle Parts is a home based business located in Cottam, dedicated to providing you with quality parts, whether they be "New" or "Used". 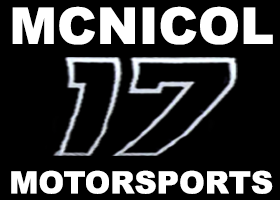 With over 20 years experience, we assist you in finding all your Chevelle parts needed to restore your car to it's original glory. Only the best parts will do for my car... Shouldn't the best company do for you? ?